Two former senior Facebook employees are launching a new calendar app called Woven. It wants to improve how people schedule meetings and make users more efficient. Tim Campos, the CEO, was the chief information officer at Facebook until November 2016. Facebook’s old chief information officer wants to reinvent your calendar. Tim Campos, Facebook’s CIO until 2016, and Burc Arpat, a former senior engineer at the Silicon Valley tech firm, are launching a new company that is setting out to improve people’s schedules, and has snagged $4.8 million in funding to do so. Woven is an app that syncs with users’ email and calendar accounts, and helps plan events and organize schedules. 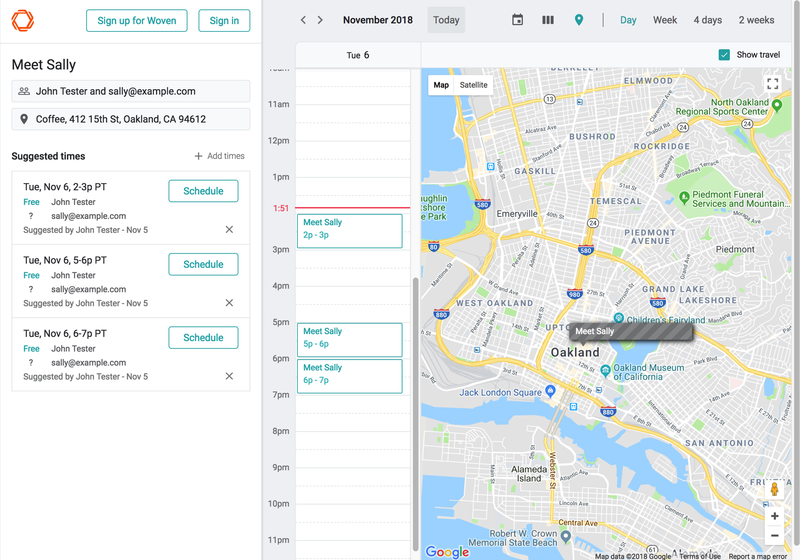 It can be used to automatically find times for a meeting that don’t clash with attendees’ schedules while taking into account travel times, or let users collaboratively edit events at the same time, or display a user’s daily itinerary graphically on a map so they can understand where they need to be and when. “It’s kinda like a mashup of what of what would happen if Google Docs, Google Maps, and Google Calendar all got married,” Campos told Business Insider in an interview. 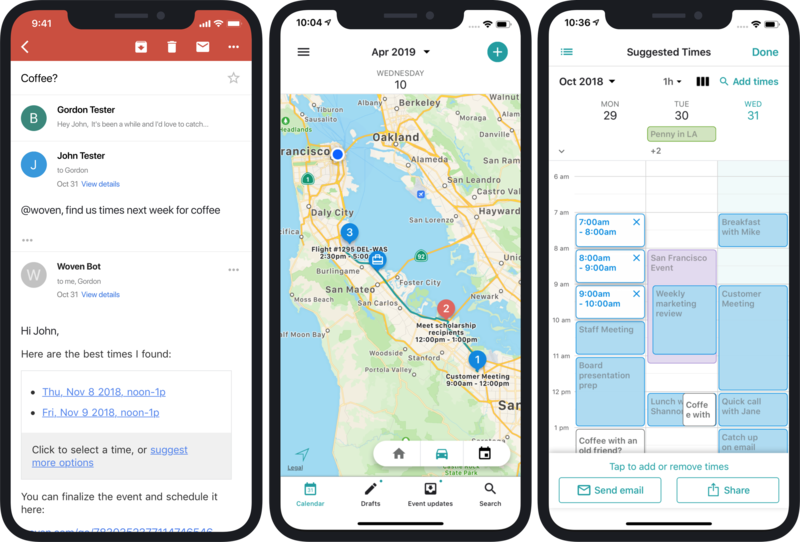 The idea for Woven was born out of Campos’ and Arpat’s time at Facebook, Campos said, as he saw the difficulties users had with scheduling events and managing their time effectively. “My job at Facebook was productivity of the workforce,” Campos said. The pair resolved to start their own business to tackle the issue and left in November 2016, and have been working quietly on Woven since. It’s currently a small team — just a dozen people, around half of them former Facebook employees — and they’re based in Mountain View, California. The startup has raised $4.8 million in seed funding from venture capital investors Battery Ventures and others to fund its development. (Campos declined to disclose Woven’s valuation.) Campos is CEO, while Arpat is CTO. Woven is starting with a free calendar app called Woven, which launches on Thursday — but it has aspirations beyond this. One of these additional applications the company is exploring is analytics. Long-term, Woven hopes to target enterprise clients as a way to make money (the initial app is free-to-download), and offer companies useful insights on their workforces to make them more efficient — how long are people spending traveling between meetings? What kind of meetings are best-attended? And so on. Campos even suggested it could one day sync with sleep tracking data — letting users quantify almost every aspect of their life with analytics, and see how work schedules might affect users’ rest. The calendar “hasn’t changed in twenty years,” Campos said.